As organizations increase their cloud presences across numerous apps, platforms, and services, there’s been little in the way of content to assist enterprises with their multi-cloud backup and data protection strategies. Issues like achieving granular control over cloud costs, business continuity, and preservation of data privacy cannot be overlooked. 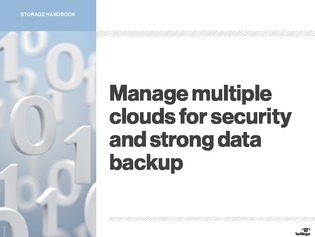 That’s why we’ve compiled the following e-book for you on managing multi-cloud backup and security. Read it here to learn everything you need to know about securing a multi-cloud deployment, multi-cloud management must-haves, and more.